FABBS Foundation honors former CEO and founder of Lawrence Erlbaum Associates for his wisdom, dedication, and invaluable contributions to the field of psychological science. 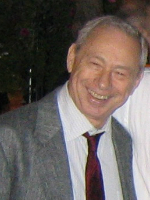 Lawrence Erlbaum is unique in both publishing and psychological science. 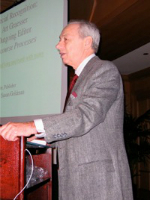 As the founder of his own publishing company, Lawrence Erlbaum Associates, Erlbaum is known for his business savvy and his dedication to disseminating academic research. His specialty lies in helping learned societies and their journals on the path toward financial success. His interest in psychological science and focus on making academic research available has made him a legendary figure and a respected friend to many scientists. He had started the business at his kitchen table 33 years ago with “less than $10,000.” Various news accounts pegged the [November 2006] sale at many millions, attributing it to Bloomberg News, “but even they got it wrong,” Erlbaum says. He won’t specify the amount but concedes, “I made an indecent amount of money.” Not bad for a self-described “yeshiva boy” from Newark, New Jersey. *The FABBS Foundation would like to thank Dr. Robert S. Feldman, Dr. Susan T. Fiske, and Dr. Arthur C. Graesser for nominating Erlbaum for this honor and for leading the effort to spread the word about his nomination. Would you like to honor Lawrence Erlbaum? It isn’t too late to have your name added to the list of donors! You can make your donation to Erlbaum’s In Honor Of… campaign at anytime.